Each carton holds 12 eggs, blank, made from recycled fiber. For the packaging of home-raised eggs. Collect eggs safely by using this unique and fun apron. Durable cotton canvas fabric. Machine washable. 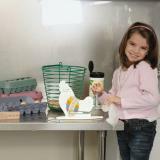 Kids can safely collect eggs with this fun, ruffled poultry apron. Durable cotton canvas fabric. Machine washable. 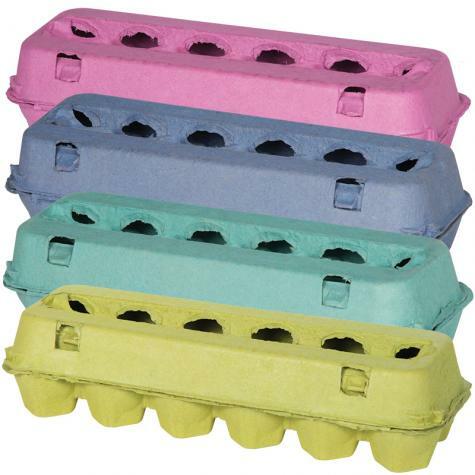 A blend of all-natural enzymes for cleaning stains and residues from your chickens' eggs. Use these biodegradable plant-based wipes to quickly clean eggs from the coop. Small, handy container includes 25 wipes. 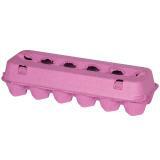 I purchased these egg cartons along with labels and they are fabulous. 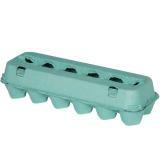 Everyone who knows me knows I like Robins Egg blue and these are just perfect for our little backyard homestead. But, above the quality of these is the quality of service from the folks at Premiere 1. USPS lost my package and would do nothing to find it. Do I contacted cust. service snd in 3 days I had everything I originally ordered bc they just shipped it anew. I can't say enough what a great company this is. thank you. I LOVE these! 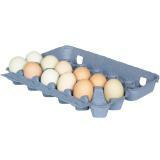 Our eggs already sell themselves but this cute packaging makes my fridge and counter look so much more appealing. We are able to add our farm's stamps to make them stand out even more. Thank you for the fast shipping we look forward to ordering these again once we run out! Love the color for Easter. Much prettier than brown. 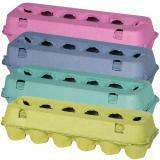 I brought all three color egg carts for a teaching projected about oral care. The colors where perfect and really helped keep the kids attention.